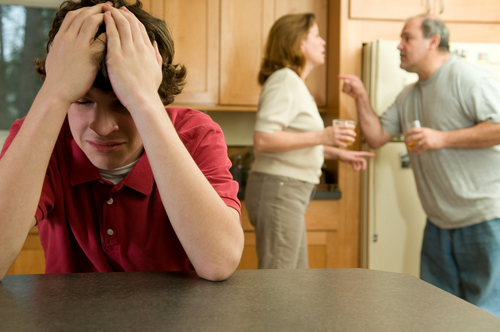 R.Across: Family trouble, do you know how to deal it? I'll say about a subject with which many people live all the time, unless some of them do not live, but perhaps they may live any moment. Coming a quesiton, do you have problems with your mother, father or siblings? Or any other person close to? Anyway, where some people don't know how to deal and sometimes the emotional disturbance comes in our lives, soon after, we can commit atrocities with them. Well, we know that all humans get different feelings and personalities, we will always find incompatibilities, and trying to get a limit of respect for these people, even though they are sour and unlikeable, respecting and keeping the equilibrium on the emotional outbursts with them. Because if we use rematch and wishing something to someone, so we will receive double every time. The Universe is law of the cause and effect, what we do or think we get a result for everything. I believe in the firt moments, everytime seems be ruined, but we need instantly only in practice and practice! Nothing came ready for us, we all had the beginning and it has been enhanced. So pratice! So what should we do? Instead of asnswering offensively, talking to wisdom, using strong and smoothly words with. Moreover you know what will or not offend, but you prefer to say anything, keep the silence within yourself and let the words interleave. That is not only one day to another you will establish the intangible behavior, but always keeping the practice, perhaps will takes month or years to get the slight feeling or any discomfort. I have already lived for a long time family trouble, but I always taking the discipline I learned how to deal with sour and hard people. Everything has a reason and will get an effect with our actions. Therefore, the situation is a reason to get cause and the cause will get an effect. Just to perfect us!